If you wish to access the services of Health Wealth Happiness Crystals, also referred to as HWH, HWH Crystals and hwhcrystals.com.au, you must accept the terms and conditions of use set out in this notice. If you are not prepared to agree to these terms and conditions, then you must immediately leave this website and you may not use or access our services. 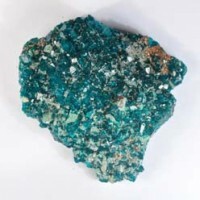 Through hwhcrystals.com.au, HWH Crystals offers a range of crystals, rocks, stones, minerals and gemstones for sale. This range of merchandise is displayed on our web site in picture images and in text description and will be posted/ shipped to customers who meet our conditions of purchase. Customers must provide their real name, landline or mobile phone number, e-mail address and other requested information. When providing payment details, customers must warrant that the payment details provided are theirs and are both valid and correct. HWH Crystals is only available to customers who meet our Conditions of purchase. Purchases made may be resold and used for commercial benefit. HWH Crystals reserves the right to decline any customer order. You warrant, represent and undertake that any information, which you provide when you register as a user, shall be up to date, true and accurate in all respects, and you agree to check and update such details when making any subsequent purchase. There is no requirement for a minimum order amount for your first or any subsequent orders placed with HWH Crystals. The prices displayed on this site are quoted in $AU Australian dollars and are only valid and effective in Australia. Payments can only be made in Australian dollars. The prices are exclusive of GST at 10% (goods and services tax) and are subject to change if the applicable rate of GST changes before your order is accepted. Any orders you place with us will not be accepted and no contract will be formed between us until all merchandise has been paid for and all applicable charges are paid in full. No payment will be deemed to have been received until we have received payment in cleared funds. We reserve the right at all times and at our sole discretion to refuse to accept an order. The prices displayed on this site are quoted in $AU Australian dollars and are only valid and effective in Australia. Payments can only be made in Australian dollars. HWH Crystals is not responsible for customs clearance fees, handling fees, taxes, duties, VAT, tariffs, duties etc and all such responsibilities for payment, in their country, fall to the customer. As an international customer, please do your research to ensure you know the laws of your country for importing consumer goods. If you are unfamiliar with customs fees and charges, speak to your local postal or customs office for more information. Before placing an order, you accept it is your full responsibility to verify the customs, duties charges and procedures in your country, we are not responsible for delays due to customs clearance. Shipping and handling fees are non-refundable. Payment can be made via Visa or MasterCard or Direct Bank Deposit. Payment will be charged to your account upon receipt of your order. The credit card you are using must be yours. All credit card holders are subject to validation checks and authorisation by the card issuer. If the issuer of the payment method refuses to authorise the payment, HWH Crystals will not be held responsible for any non-delivery. Our third party Web Developer takes every precaution to make our site as secure as possible. SSL is used to encrypt and protect the data you send to us over the Internet to ensure that your details are safe. We do not hold any payment details on record. Payment for orders is processed via our Commonwealth Bank eGateway. Any purchases made within Australia will be delivered by Australia Post or Fastway Couriers. Delivery will be within 2-8 working days from the date of dispatch, some remote areas in Australia will take longer than this. We allow 1-2 business days to process and dispatch your order. Delivery times are provided as a guide only. Your order may arrive outside these times in peak postal periods such as over Christmas or at any other time and this is out of our control. Where there is a delay or likelihood of delay in the supply of products causing a delayed dispatch to posting, we will advise you as soon as practicable. If due to high demand of the product ordered we will notify you of this delay and you may either cancel your order or agree to a further delivery time with us. All purchases made are on a firm sale policy , there are certain conditions, if agreed to by HWH Cystals at the time of application, that may allow the goods to be returned for a replacement or refund. Any returned goods must be receievd by HWH Crystals in original condition and with authorisation papers, the cost of freight to return goods is to be paid for by person returning goods and HWH Crystals accepts no liability for this. HWH makes all reasonable efforts to ensure that the content is accurate and up to date. Every effort has been made to reflect product descriptions and colours as accurately as possible. However, due to differences in monitors, we are unable to guarantee that the colour you will see on your monitor will accurately reflect the true colour of the product. 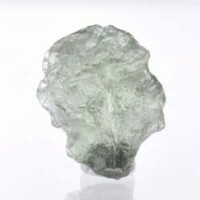 HWH makes every effort to accurately represent the item in size and weight, however due to the individuality of the crystal formation and colouring, the actual item may look and weigh different to what is on the website. Content is provided for information purposes only and makes no representations or warranties as to the accuracy or completeness of any content. In particular and without limitation, HWH makes no representations as to the availability, and all products displayed on this website are available only whilst stocks last. 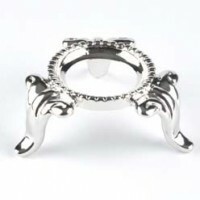 Prices of any products or shipping costs on this site may change at any time. Unless otherwise indicated, the content of this site (including all images, text, information, Logo’s, graphics and material, referred to as "Content") is owned by HWH and is protected by copyright, trademark and common law rights. The Content cannot be used, copied, licensed or sub-licensed without Man Torque’s express consent. Content may not be distributed, transmitted, reproduced, published, modified or sold. Accessing and use of this site in any way and reliance on the Contents is done at the user’s discretion and risk. You hereby agree that you will be solely responsible for any damage to your computer system, loss of data or other harm that results from such use. You acknowledge that you are responsible for all communications sent via or to this website and agree your use of this website for private, proper and lawful purposes only. You will not carry out any act or omission or procure any act or omission which would: damage, delay, interrupt or impair the use of this website or its software; Cause any illegal, offensive, defamatory material to be placed on or associated with this website; Be in breach of any copyright, trade mark, privacy, confidence, or any other third party right; or Cause any inconvenience to HWH, its employees, servants, agents, software and other suppliers or any other third party (including, without limitation, creating or procuring software viruses, chain letters, unsolicited communications and 'spam'). Man Torque(and it s related employees, consultants, agents and third party contractors) makes no warranties or representations about the Content and accepts no liability or responsibility for any damage or loss arising in any way, directly or indirectly, from use of this site or use of or reliance on the Content, including as a result of HWH's negligence or default. By accessing this site you hereby agree to indemnify and forever hold harmless HWH (and it’s related employees, consultants, agents and third party contractors) from all or any loss, costs, claims, liability or responsibility which may arise in any way by you or any third party as a result of your use of the site or Content. The exclusions and limitations in these conditions are made to the maximum extent permitted by law, and where the law does not permit exclusion, are limited to the extent permitted by law. In order to hold an account with HWH Crsytals we require that you have been a COD customer for a minimum of 12 months and that you have made at least 5 COD purchases during this time. Once account priveledges are granted they may be revoked at any time without explanation, at the discretion of HWH Crystals. Any account that is overdue will attract a recovery fee of $50.00 to $100.00 and interest will be charged on all overdue amounts at the rate of 12%. We may immediately issue a warning, suspend or terminate your registration and deny you access to all or part of this website or refuse to provide our services to you without notice, if you are in breach of any part of this agreement also if we cannot, for any reason, verify or authenticate any information you provide to us or we believe that your actions may cause legal liability for us, you, or any other user. Upon registration on HWH Crystals website, you are automatically subscribed, as a retailer of the crystals purchased, to our regular newsletter, you will always have the option to suspend the newsletters by unsubscribing to the service, which will require you to be logged in. In order to be informed of new products and specials you will need to manually search for the information provided in the newsletters. These terms and conditions may be amended or updated at any time by HWH and it is the prevailing terms and conditions from time to time that are agreed to apply. This site may contain links to other websites and may on occasion display content or information from other websites. HWH is in no way responsible for any such content or information and any such links are accessed at the user’s absolute discretion and risk.